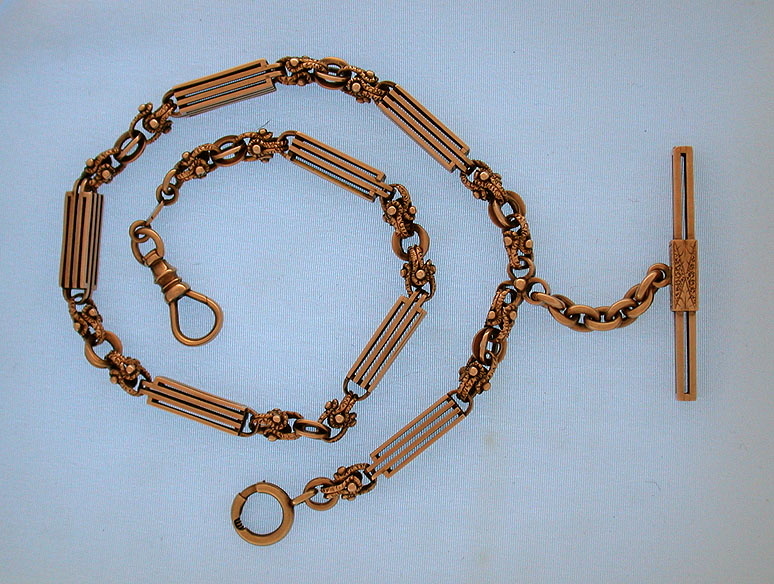 Fine and heavy 14K red gold antique pocket watch chain circa 1890. 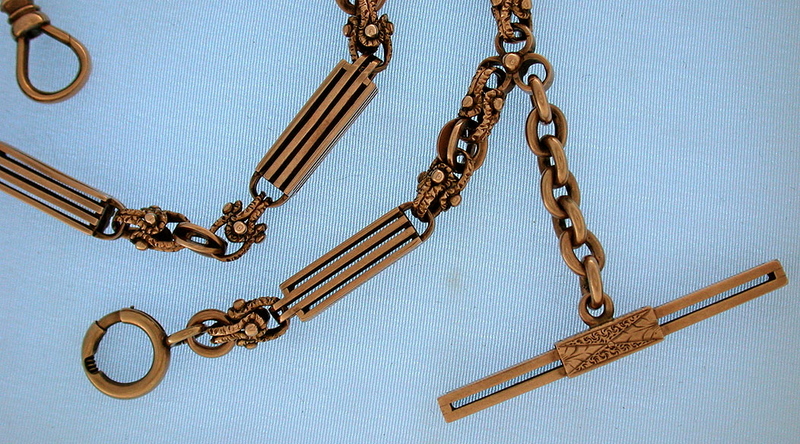 Very fancy and decorative links. 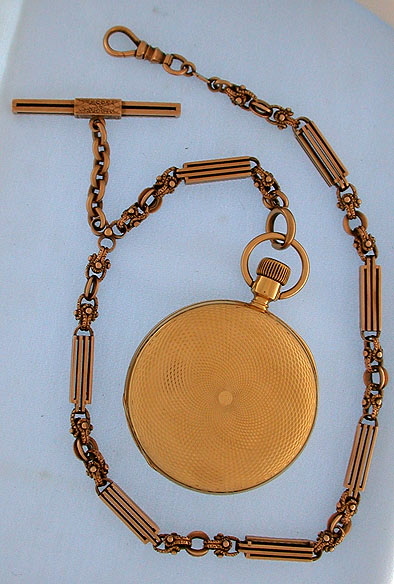 Shown with a 51 mm yellow gold watch (not included). Weight 26.7 dwt.